In today’s competitive industry of retail, the need and requirement for prolonged working hours grows every day. Retail shops are now taking steps towards arranging their employee’s schedules to involve multiple and/or longer shifts. The retail industry has started to realize that it needs to address their worker’s issues of shift changes in their jobs. Recent months have shown an increase in unfair scheduling and scheduling abuse. Employees are intentionally called by their employees to work more hours. 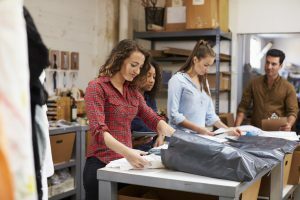 In order to cater to the employee’s flexibility in their work schedule, many shops have undertaken procedures to cater to the problems in shift changes. Procedures and practices observed by the retail industry have been shifting in the recent years. Retail shops have realized and understood just how much shift changes of their workers and employees are affected. Their work timing is found to have an impact on their productivity of their work. During fixed shift schedules, employees work one particular shift. It could be that they are required to work on different days, but their shift will always be the same. Employees that are required to work on rotating shift schedules will have to serve different shifts periodically. It could be that one day they might be working in the afternoon and another day at night. Walmart has offered it’s employees the options of fixed shifts and flex shifts. Workers on a fixed shift are guaranteed their weekly hours, while flex shifts let workers form their own timetable from the hours that are left available. The retail store is now working towards launching an app that would help workers select their work schedules directly from their phones. Employees and workers work for consecutive days and then take a few scheduled days as their off days. Specifically, in retail stores, workers and employees are generally found to work on a day or morning shift. The timing of morning work shifts are either 9 a.m. to 5 p.m. or 8 a.m. to 4 p.m. Most retailers that are open for 24 hours or extended hours have employees working on mid-day shifts. The timing of this shift is usually from 2 p.m. to 10 p.m. or 1 p.m. to 9 p.m.
Retail stores that are open late in the evening, has employees that will have to work from 4 p.m. till 11 p.m. or 5 p.m. till 12 p.m. Most retailers use more part-time workers to work their evening shifts. Retailers need to understand and realize that if they want to improve their store operations, they need to adopt certain shift change procedures. In order to fully utilize their employees, retailers must calculate the amount of time it takes for their workers to perform certain activities. This estimated calculation will help retailers to hire their employees per their need. Retail stores often need a flexible and diverse workforce team comprising of part-time, full-time and temporary staff. The diverse staff members on different schedules will prove to be an advantage to the store as there will always be an employee present in the store. On-call scheduling is a common practice in many retail stores. Employees are put in an unfavorable position as they sometimes have to keep a selected time slot free, just in case they are called in for work. The disadvantage of this scenario is that there is no assurance if they need to show up for work or not. If retail stores set up a systematic procedure regarding on-call scheduling, it will benefit not only the employees but the store as well.